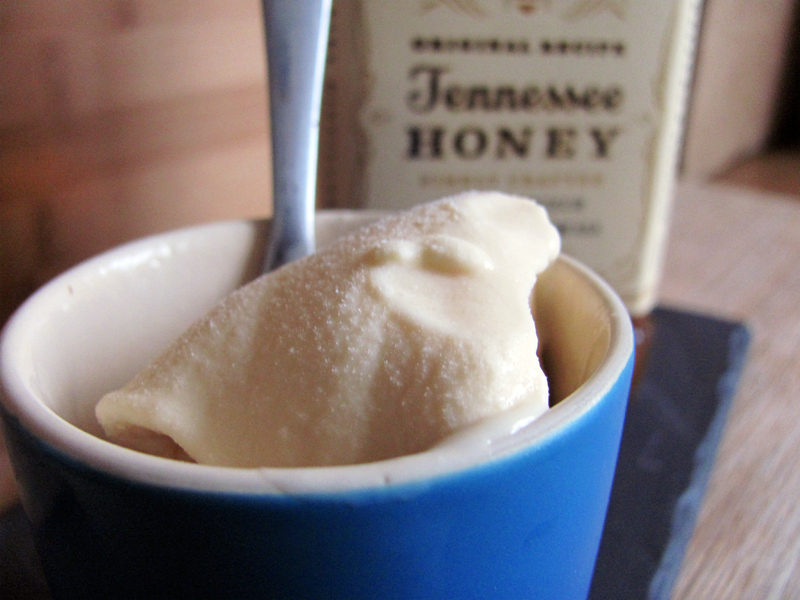 Often you’ll come across an ice cream that has alcoholic flavouring but very little alcohol, if any at all. The reason is that alcohol freezes at a much lower temperature than the ice cream custard mix, which means if you wanted to make truly alcoholic ice cream it had to be -114 degrees Celsius. 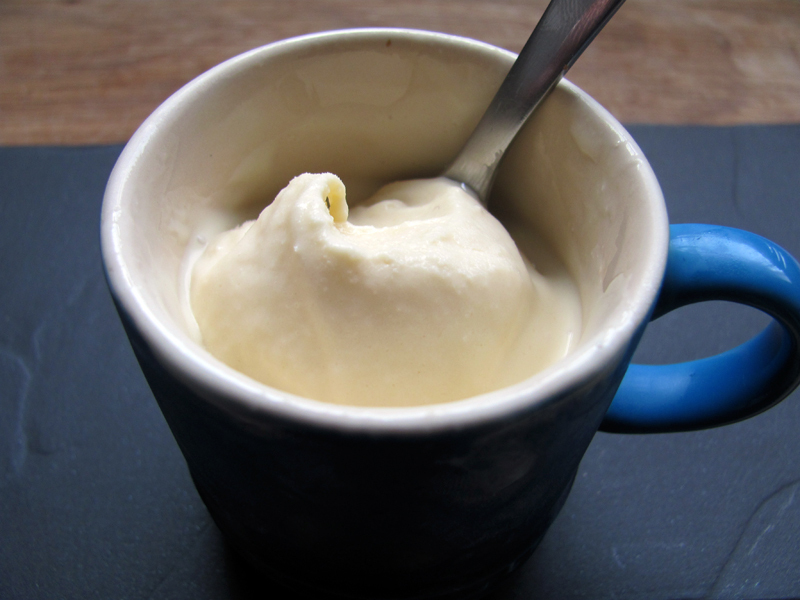 As with most ice creams, make your custard by adding your milk, sugar, cream and egg yolks into a cold pot. Whisk, and heat up slowly. Maintain vigilance because if the temperature goes too high, your eggs will scramble, and if it’s too low, then you have raw eggs potentially teaming with Salmonella. Your custard mix is ready when you coat the back of a spoon in custard and can run your finger down the middle with the path remaining. Remove from heat and let it cool, and rest for at least 8 hours. 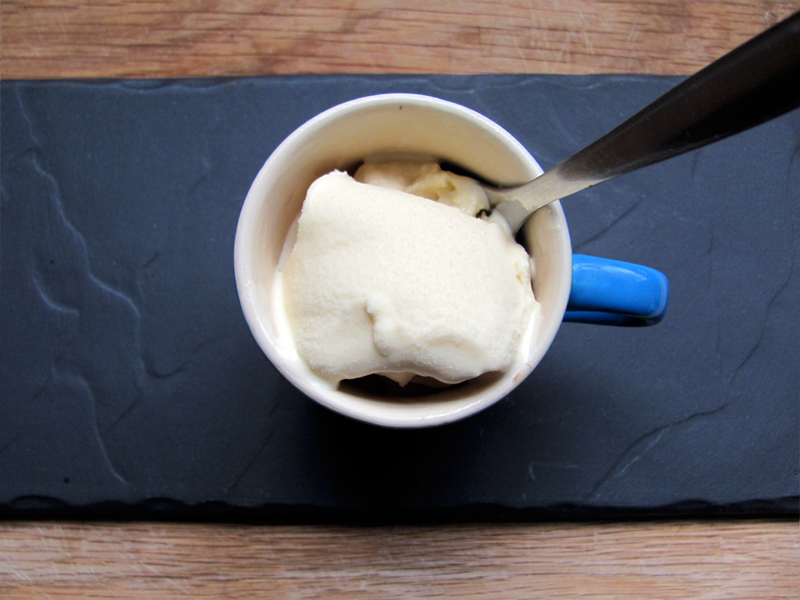 You don’t have to let it rest but you have a much creamier and more luxurious ice cream with resting. Now the biggest problem you will be facing with this is that alcohol only freezes at -114 Degrees C. so most attempts to add alcohol to frozen products fail. Cue the Dramatic music please! Add your liqueur gel to the cold custard, and mix through thoroughly. 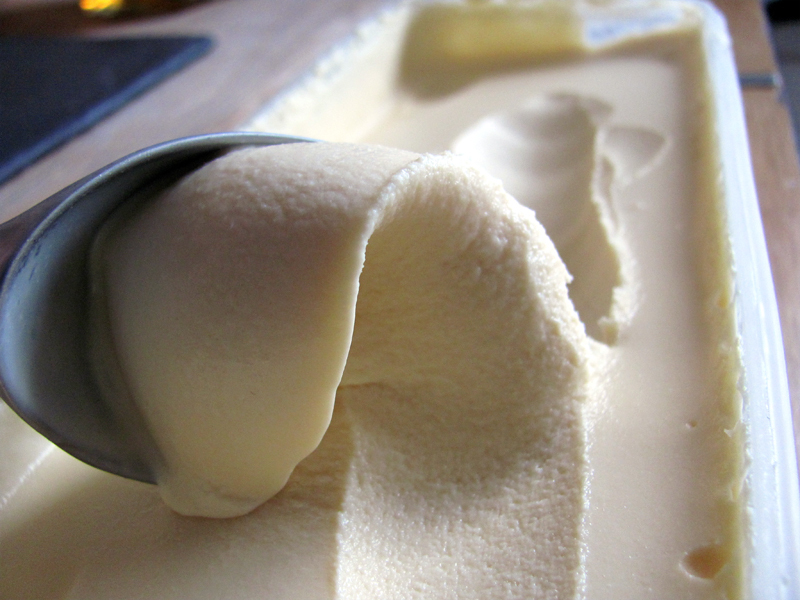 Pour into an ice cream maker and let it thicken. I found it still slightly pourable after 15 minutes in the churner, so I put in the freezer to firm up over night. Because of the high alcohol content it’s perdy smooth and soft but does firm quite a bit in the freezer. It may look like crystals in the ice cream but it’s actually the gel fragments, so instead of a granular consistency it’s actually quite smooth. If you find yourself in this position, looking down the sights of your spoon at this ice cream, consider yourself fortunate. 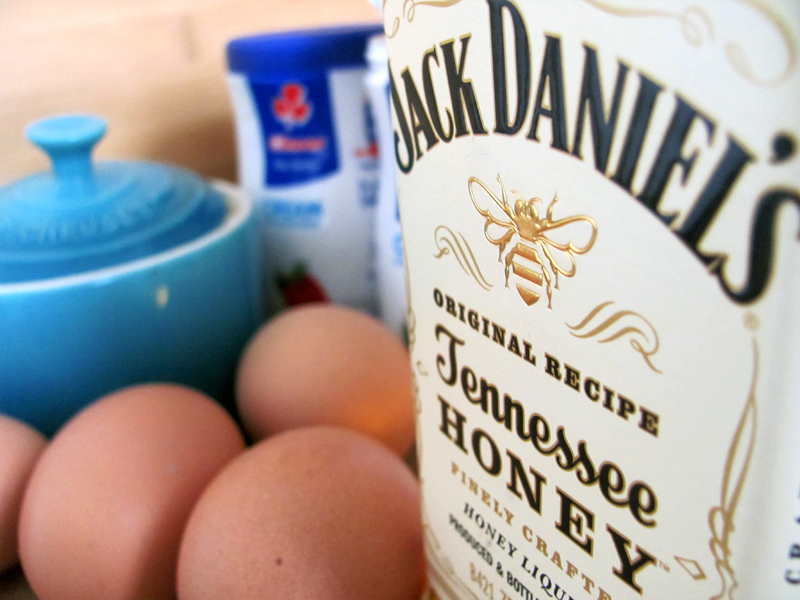 It has a kick so enjoy responsibly. Thank you so much for the “gel”explanation. I tried this by following the video in the Gizmodo article and it was not very clear on when to pour the alcohol in to the gelatin mixture. My gelatin mixture was still warm so the cold alcohol caused it to cuagulate in to a stingy consistency,I true again by mixing in the liquid gelatin mixture into the alcohol while using a hand mixer, and it was better but not quite right, so I ended up with cream and alcohol that won’t free 🙁 . This gives me hope that it will actually work when I try it again.Thanks again! Hi Zenia, I’m glad you’re trying it! Let me know what ends up working for you.